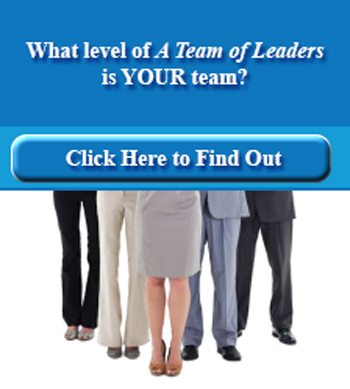 Empowering Every Member to Take Ownership, Demonstrate Initiative, and Deliver Results. Not too long ago, Bronco Mendenhall turned around the Brigham Young University (BYU) football program. Many know this transformation began in December 2004, when Mendenhall became the head football coach. What many don’t know is how he did it. So, let me take you through his program’s makeover from beginning to end. Instead of being the all-knowing coach who uses the “it’s-my-way-or-the-highway” approach, Mendenhall decided to turn to Paul Gustavson, a former BYU football player and world-class business consultant, for advice and assistance. Gustavson immediately convinced Mendenhall that he could transform his Division 1 college football team into a team of leaders as opposed to just a group of individual football players following him. By doing so, Mendenhall and his coaching staff would not have to make all of the key team decisions on or off the field. And BYU would have a competitive advantage over all other college football teams. So, they quickly went to work. They relied on key elements outlined in the book recently written by Gustavson and me, A Team of Leaders, Empowering Every Member to Take Ownership, Demonstrate Initiative, and Deliver Results(AMACOM Books, March 2014). With Gustavson’s guidance, Mendenhall used the Five Stage Team Development Model described in A Team of Leaders. The head football coach employed it as a framework for visualizing how the team and its sub-teams (such as, position groups: offensive line and defensive line; or program groups: organized around providing community service) would steadily take on more and more responsibility in various key areas of the organization. Mendenhall united the entire team around BYU’s unique mission. He emphasized tradition, spirit and honor. He also took a hard look at his systems. Where necessary, he redesigned them and assured they were aligned. For example, Mendenhall purchased a new video editing system for putting together game film to be studied by the players. He completely redesigned their weight room, locker room, and other areas inhabited by the team, to make it more consistent with the new direction. Mendenhall also placed a heavy emphasis on knowledge management. He ensured that his players focused both on their studies as well as on learning their team roles and responsibilities. 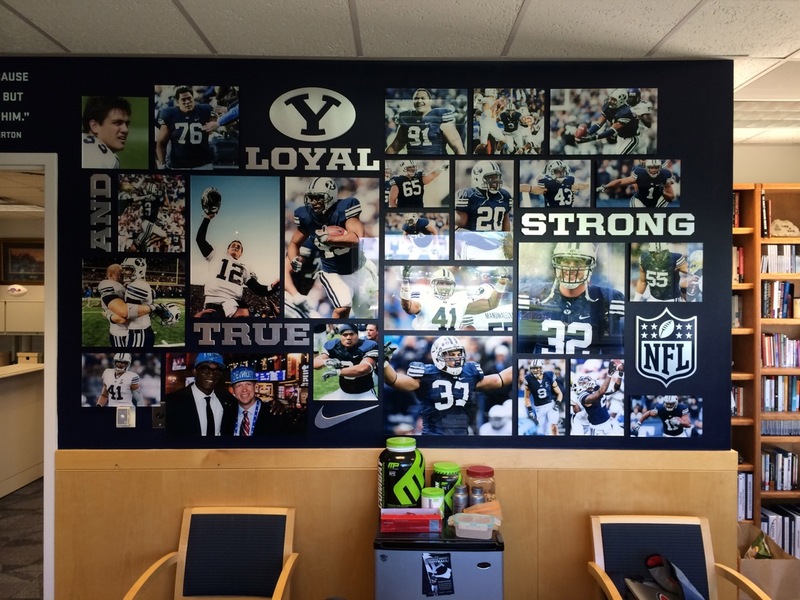 He even redesigned all of the team’s blank walls, using visual management principles to connect the players to BYU’s mission, and their short-term goals. As time went by, the players bought into the concept of a team of leaders and became more empowered than ever before. Many of them stepped up and assumed leadership roles. This progress freed up Mendenhall and his coaching staff to focus on other important areas. Soon, the entire team came together as one. As a team of leaders. Since Mendenhall arrived at BYU, the results have marked the wisdom of this approach. Mendenhall’s teams of leaders have since had a combined record of 82 victories and 34 losses. His teams have been to a bowl game every single year, winning six out of the nine games. Moreover, Mendenhall’s players’ academic achievements have consistently been at or near the top of all Division 1 college football programs throughout the nation. And that is how Mendenhall has made his mark at BYU as one of its greatest head football coaches. Are you seeking solutions to the challenge of transforming your struggling group of individual “players” (or employees) into a successful team of leaders? There are usable and effective strategies right at your finger tips. 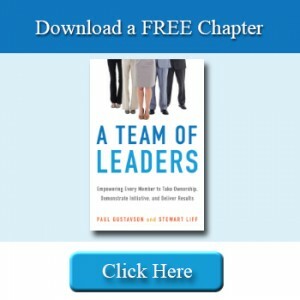 To get a deeper knowledge about how you can make this transformation happen and help get your business on the path to success, go now to download a free chapter from our book A Team of Leaders: Empowering Every Member to Take Ownership, Demonstrate Initiative, and Deliver Results. Paul Gustavson is an organizational design consultant and founder of Organization Planning & Design, Inc. (OPD). He is also the co-author of Running into the Wind. Stewart Liff is an HR and visual management expert, as well as president of Stewart Liff & Associates. He is also the author of Managing Government Employees andco-author of Seeing is Believing. Subscribe to our blog for a free chapter. Named one of the 30 best business books of 2014 by Soundview Executive Book Summaries!